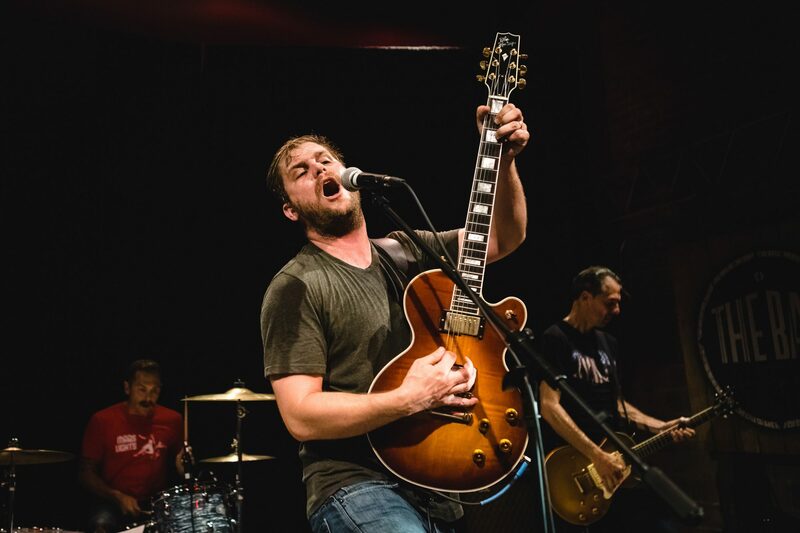 A Socialist Punk Band – "The MC5 of the Great Plains"
Red Cities is playing its last show of the year at The Zoo Bar on December 29 with a great, new punk band in town – Misfire, and Dark Satellites from Kansas City, a space rock/psychedelic rock band. You’ve been summoned! The show is $5.00, and the first 10 people in the door receive a free Modern Peasant Records release! Red Cities with Ezra, Laughing Falcon, and Ashes of Immolation at 1st Avenue Lounge and Social Club! December 8 at 7:00pm. We’ll be joining our friends Ezra, Laughing Falcon, and Ashes of Immolation this Saturday night December 8 at the 1st Avenue Lounge and Social Club for a night of death metal and death punk! Come on out to see the show, doors open at 7:00pm! Ramp Up Your Socialism, Yeah! “Worker Song” and “It’s Political” Live. On our albums “Red Cities” (2014) and “Soft Target” (2017), we take up themes dealing with working class liberation and social democracy, more generally part of our socialist ethos as musicians and people. Check out “Worker Song” and “It’s Political” from our October 2017 show with the indomitable Child Bite! Red Cities Live Show Review: Lincoln Exposed 2018! Red Cities had a nice write-up by KZUM 89.3 FM, our local community-based radio station, at Lincoln Exposed 2018! Check the video below! Red Cities at Lincoln Exposed 2018! Lincoln Exposed 2018 is a local music festival that originated several years ago through Pete Watters, owner of the infamous The Zoo Bar. The festival kicks off February 7 and runs to February 10. Red Cities will be playing at Bar 1867! Soft Target #20 in Fall 2017 issue of The Big Takeover Magazine! Our new L.P. “Soft Target” was listed #20 recently in The Big Takeover Magazine’s Fall 2017 issue, in Jack’s Top 40! Give the review a read, and then head over to our Merch Page to purchase your copy of Soft Target! Red Cities on “Idle Noise” Show, WKDU 91.7 FM, Philadelphia! 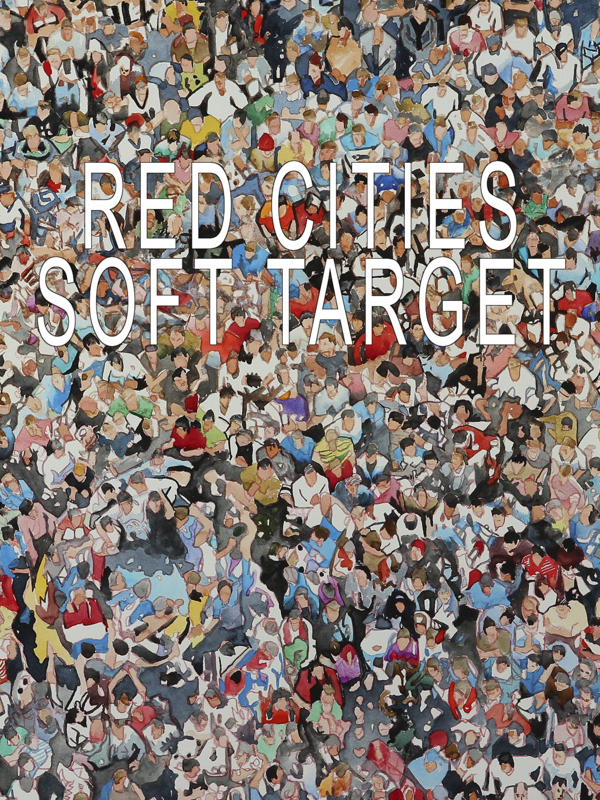 Red Cities song “Soft Target” off their new L.P. was featured on the “Idle Noise” Show on WKDU 91.7 FM in Philadelphia October 4th. The show runs on Wednesdays from 7:00 am to 9:00 am and plays punk, post-punk, and other independent label music! February 6-9: Lincoln Exposed Music Festival. March 30: The Zoo Bar with Domestica and The Broke Loose. May 26: O’Leaver’s Pub (Omaha) with Ramparts and Dead on Dust. November 25: The Zoo Bar- Record Release Party!